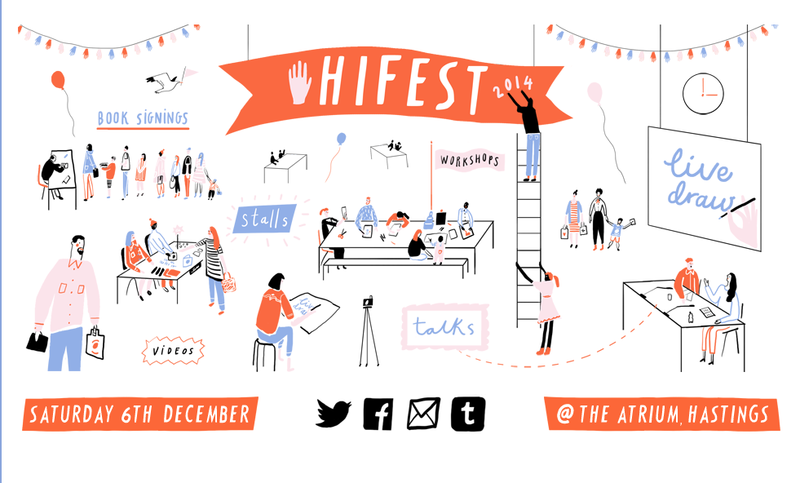 The first Hastings Illustration Festival takes place this Saturday in the Atrium of Sussex Coast College. It promises to be a good, fun, illustrationy day out! Me and Griff are going to be screening our animation short 'Wish List' and talking a bit about it too. I believe that's at 1pm in a side room somewhere. Anyway it gives me a chance to share it again here! If you're in the area try to come on down. There will be lots of fine wares to pick up before Christmas, lots of prints, cards, books and much more. You could even take part in a collage workshop run by my good mate Martin O'Neill of Cut It Out Studio fame, or pick up one of my studio buddies, Tim Marrs, splendid prints! That's the hard sell done for this year. 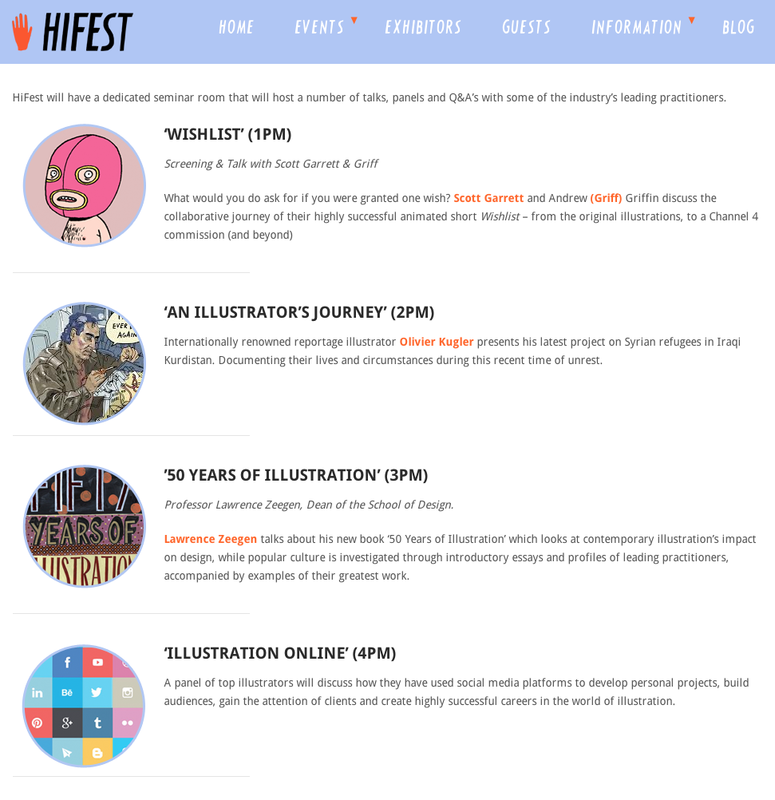 I look forward to catching up with my fellow illustrators. See you there! ?